As the weather gets colder, we all anticipate driving conditions becoming worse and worse. Just as the first few flakes of a snowstorm start to build up, so does traffic. 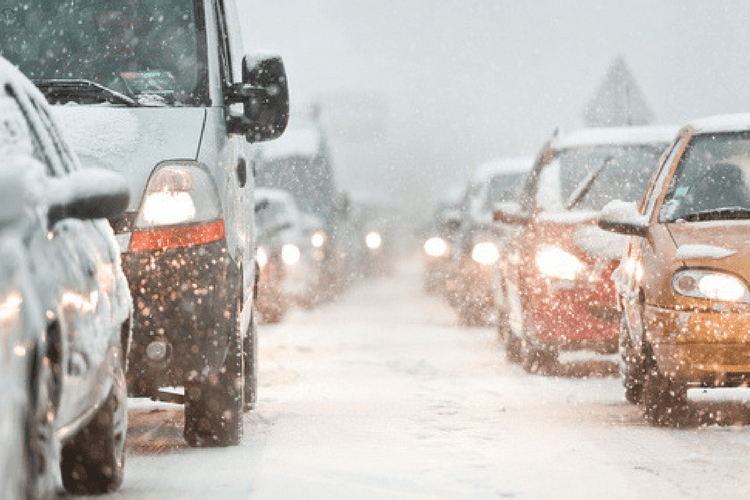 Follow these 10 driving tips to stay safe while you’re driving in the snow and ice this winter season. Winterize your car! Make sure your car is up to date with fluids, brakes and fuel. It’s best to keep your fuel tank half full during the winter – but particularly before a long trip on the road. Be sure that you’ve recently had your oil changed and that all the other fluids in your car have been topped off before heading out on the road in the cold. No one wants to get stranded with a flat tire – particularly while driving in snow. Be sure that your tires are properly inflated, as tire pressure fluctuates with the temperature. Always wear a seatbelt. In case of an accident, wearing your seatbelt can save your life. Slow down. When snow really starts to accumulate, it’s in everyone’s best interest to slow down – you never know if a patch of black ice could be up ahead. 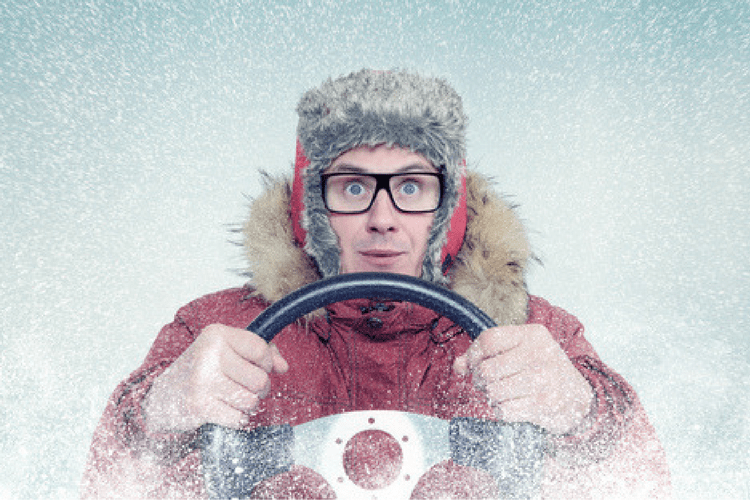 One of the most important winter driving tips: accelerate and decelerate slowly. Mashing your foot down on the gas or the brake while driving in snow can cause your car to lose traction and you to lose control. Keep calm and carefully accelerate, or brake slowly to prevent any accidents while on the road. A general driving tip to follow is the 3-4 second rule: stay at least 3-4 seconds behind the person in front of you. When driving in snow or on ice, this should be increased to 6-8 seconds. Again, slowing down can help keep you and your car safe while driving on ice or in snow. Stay alert! Do not drive distracted. 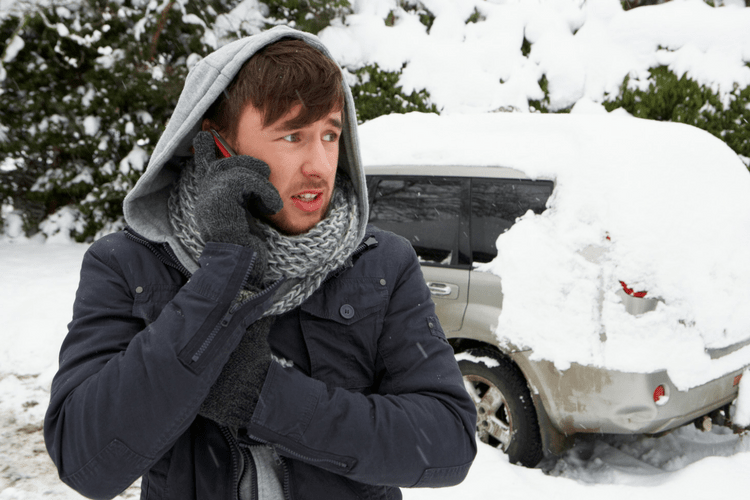 Safe driving in snow means paying attention to your surroundings, not to your phone or radio. Do not use cruise control. This goes along with staying alert. Using cruise control while driving in snow or on ice could lead to an accident, quickly. Keep the cruise control off while driving in winter conditions. Check the weather and plan your route ahead of time. Checking the weather ahead of your trip could save you a lot of trouble while you’re out on the road in the winter. While it’s a good driving tip to map out your route before you leave the house, it’s even more important during the colder months. Make sure you’re prepared – emergency kit. Having a winter emergency kit in your car will help you be prepared while travelling. Check out this article we wrote about stocking your winter emergency kit. If you’re prepared, driving in the snow doesn’t have to be as precarious as it seems. Making sure that you and your car are ready for the road ahead of time will keep both of you safe for many winters to come. It’s just a shame people don’t abide by the 6-8 second rule. The amount of times people are right up behind you!